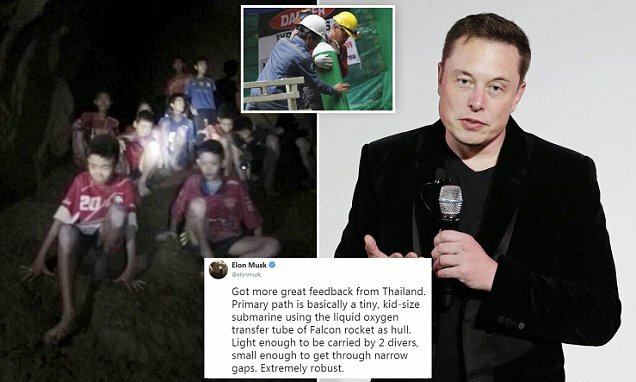 Entrepreneur Elon Musk, the founder of SpaceX, Tesla and Boring Co, has been working with his team on a device that serves to extract the children and trainer who are trapped in a cave in Chaing Rai, Thailand. In a series of videos posted on his Twitter account, the team conducts tests in a pool in Los Angeles. Later, he revealed what would be the final extraction of the person who goes on board the “mini-submarine”. The rescue work of the 8 remaining children and the trainer will continue during the morning of this Monday (Sunday afternoon in our country).